I transferred to the Department of Political Economy at Johns Hopkins University in 1966 to continue my work for the Ph.D. degree, which Hopkins awarded me in 1968. During my two years at Hopkins, I never took a course from Carl Christ, a highly regarded econometrician and macroeconomist there. Yet Carl turned out to have a critical effect on my career as an economist because—strange to say—he was not only a sound economist and econometric pioneer, but a very, very nice guy. What Carl knew about me as a grad student at Hopkins and what I knew about him as a faculty member, aside from what each of us learned from conversations with colleagues, arose from our participation in the weekly department seminar. Although at the time I did not know the origin of this seminar, which all the grad students and all the faculty members were expected to and did attend, it had been established previously by Fritz Machlup when he was a faculty member at Hopkins. Earlier, in Austria, Machlup had been a participant in the famous seminar run by Ludwig von Mises in Vienna, and after his migration to the USA, he had set up a seminar at Hopkins along the same lines. Because the graduate program at Hopkins was smaller than those of comparably esteemed programs at other top universities—about three dozen grad students altogether and about a dozen faculty members—it was feasible to have a seminar in which everyone could participate and have a fair chance to speak his mind during the two hours we met (or, as we students put it, “until the canary dies”). 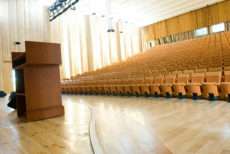 In the seminar, faculty members were not permitted to speak until the grad students had exhausted their own questions and comments. In the course of years of such weekly seminars, everyone learned a great deal about how each of the others thought and dealt with issues. When I set about seeking an academic faculty job late in 1967, unbeknownst to me, Carl took it upon himself to write or call economists he knew at a number of top schools. As a result, when the job market got under way in December and reached full swing just after New Year’s, I received many requests for job interviews at the annual meetings of the American Economic Association as well as requests that I come for campus visits to be considered for a job. Invitations I accepted for job visits included those of MIT, Princeton, and Ohio State. I declined others, including that of Carl’s alma mater, the University of Chicago. Before all the departments to which Carl had recommended me could get their recruiting plans in order, however, I accepted an early-bird offer from Douglass C. North to take a position at the University of Washington. In this way, I was able to begin my career installed in a program in the academic big leagues—indeed, Washington at that time had one of the best economic history programs in the world—and for this propitious placement I had Carl Christ to thank. Note that I was not “his student.” I was not writing my dissertation under his direction; he was not a member of my doctoral committee; in fact, as noted, I had not even taken a course from him. Carl was simply a nice guy who voluntarily came to the aid of a very young, very ignorant grad student without even having been asked to do so. I used to believe that it was possible to build and estimate an econometric model that would represent an invariant law of economic behavior, valid for many places and for long periods of time. I no longer believe this, because I have yet to see an econometric model that continues to describe new data with no change in its parameters. Instead, I believe that economic reality is so complex that the best we can expect of an econometric model is that it may approximately represent the relations among its variables for a limited place and time. Such an approximation may be very useful, and may permit us to make forecasts for short periods into the future. But until we have much more knowledge about human biology and its relation to economic, social, and political behavior I think we will not achieve econometric models that are invariant over wide reaches of space and time.